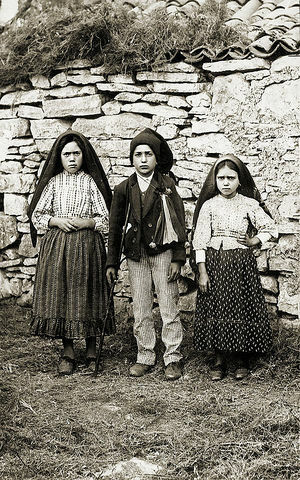 Between May 13 and October 13, 1917, during World War I and the fomenting of the Bolshevik revolution, the Blessed Mother appeared six times to three shepherd children—Lucia, Francisco, and Jacinta—near Fátima, Portugal. She delivered her warning of the spread of Communism and outlined her plan to “bring peace to the world and an end to war” through daily recitation of the rosary, worldwide devotion to her Immaculate Heart and penance. When you shall see a night illumined by an unknown light, know that this is the great sign from God that the chastisement of the world for its many transgressions is at hand through war, famine, persecution of the Church and of the Holy Father. To prevent this, I shall come to ask for the consecration of Russia to my Immaculate Heart and the Communion of reparation on the First Saturdays. If my requests are heard, Russia will be converted and there will be peace. If not, she will spread her errors throughout the entire world, provoking wars and persecution of the Church. The good will suffer martyrdom; the Holy Father will suffer much; different nations will be annihilated. It should be noted that in 1929 Mother Mary appeared to Lucia with the message that the moment had come in which God was asking the Holy Father, “in union with all the bishops of the world,” to make the consecration of Russia to her Immaculate Heart, “promising to save it by this means.” Over the years, various popes have made various blessings, but never exactly according to her direction. Mark L. Prophet and Elizabeth Clare Prophet, Lost Teachings on Keys to Spiritual Progress, pp. 304–06. This page was last modified on 17 June 2016, at 07:13.